San Jacinto Coalition hears updates, waits for well report from Harris County Health Dept. A LARGE CROWD of area residents listened for details on the water well tests, but were told it would be a few more weeks before the information was available. 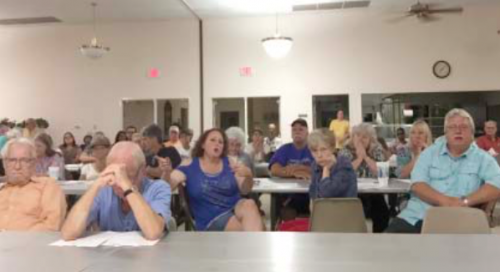 HIGHLANDS – The San Jacinto River Coalition held their regular monthly meeting Tuesday night, with about 150 attending at the Community Center. But instead of hearing information on the possible contamination in their well water, they had to wait a few more weeks, said Jackie Young. After attending a meeting with Harris County Public Health, she was unable to provide the definitive information that the audience asked for. They wanted a detailed quantitative report on dioxins, and other contaminants in their water. 100 wells have been tested by the county last month, and 71 of those received a letter advising them not to drink or cook their water. 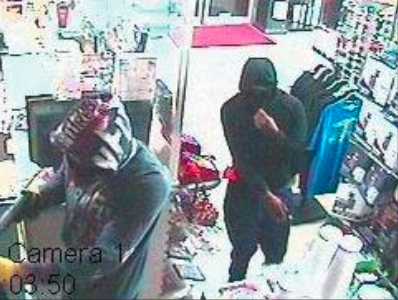 Crime Stoppers and the Galena Park Police Department need the public assistance identifying the suspects responsible for an Aggravated Robbery with a Deadly Weapon. On Sunday, July 3, 2016, at approximately 12:03 a.m., two suspects entered a convenience store located in the 1900 block of Clinton Dr., Galena Park, TX. One of the suspects pointed a handgun at the store clerk (victim) and demanded money. The same suspect then placed the gun to the back of the victim’s head and threatened to kill him if he did not comply. The victim immediately handed the money to the suspect. The suspects then fled the scene in an unknown direction. Surveillance cameras captured images of the suspects. Suspect #1 Black, male, wearing gray hoodie with lettering (pictured), gray shorts, yellow gloves, and a black mask. Semi automatic pistol. Suspect #2 Black, male, wearing a black hoodie, black mask, and blue pants. Crime Stoppers will pay a reward of up to $5,000 for information leading to the charging and/or arrest of the suspect(s) in this case. Information may be reported by calling 713-222-TIPS (8477) or submitted online at www.crimestoppers.org. Tips may also be sent via a text message by texting the following: TIP610 plus the information to CRIMES (274637) or via our mobile app (Crime Stoppers Houston). All tipsters remain anonymous. 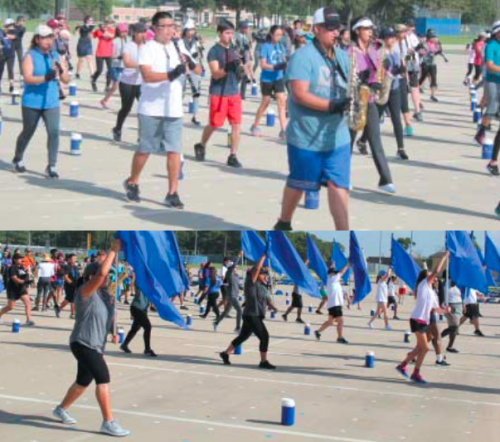 The Channelview Falcon Marching Band began practices for the upcoming season this week. More than 300 students are participating in the award winning band, which has earned Superior ratings at the Region 19 Band Contest the past five years. Channelview will host the Region contest this year on Oct. 22 at Ray Maddry Memorial Stadium.